Well, it SURE as hell isn’t fat or sugar. Is it invisible, flavorless and odorless too? If it doesn’t have calories, it isn’t food. Peole actually pay money for this stuff???? Well,they certainly took all the fun out of it! 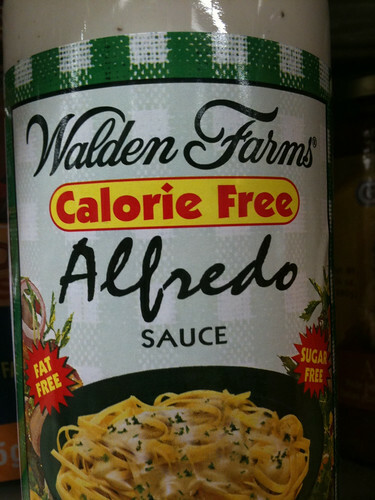 I want my fat,calories,and sugar if I’m going to indulge in Alfredo Sauce. I’ve tried it. That’s really all I want to say. Is it as good as THREE POUNDS OF SOUR CREAM? God only knows what they used in it.